With a diversity of backgrounds and areas of expertise, NOVAFRICA resident members are the core of researchers affiliated with the Nova School of Business and Economics who collaborate in the implementation of NOVAFRICA’s activities. 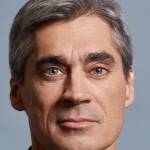 João Amador is a senior economist in the Economics and Research Department of Banco de Portugal where he heads the Public Finance and Structural Studies Division. He is an Assistant Professor (Adjunct) at Nova School of Business and Economics where he teaches Macroeconomics and European Economy. He has also taught Microeconomics and Macroeconomics in other departments of Universidade Nova and in executive programs. He has completed his Ph.D. in Economics in 2000. His research interests include international trade, macroeconomics, public finance, productivity, economic growth and Portuguese economy. João Amador has published in academic journals and authored chapters of books. Filipa Castanheira is an Assistant Professor at Nova School of Business and Economics. She has a PhD in Psychology: Social Psychology from the University of Lisbon. Her current research interests include Human Resource Management, employment relationships, including temporary employment, job design and stress and well-being at work. She is the author or co-author of several book or chapters in national books: Trabalhar num Call Center: Dos mitos à realidade (Editora RH, 2010); Novos Desafios para a Gestão de Recursos Humanos: O caso dos trabalhadores temporários (Editora RH, 2011); as well as papers in international journals such as Human Resource Management (2010), International Journal of Training and Development (2012), Journal of Managerial Psychology (2012), Journal of Business and Psychology (2006) and Journal of Organizational Behavior (2007). Alexander Coutts is an Assistant Professor of Economics at Nova School of Business and Economics. He holds a PhD in Economics from New York University. His research has involved field work in Uganda, Ghana, and most recently Rwanda where he designed and conducted a series of public goods experiments in rural villages. His research interests center on the interaction between behavioral and development economics, with a focus on using experiments in both the lab and field. He currently teaches Behavioral Economics in the graduate program at Nova SBE. José is a Full Professor of Operations Management at NOVA SBE and the Academic Director of the Nova SBE Executive Education. He holds an Aggregation, a PhD in Management, an MBA, and a Master of Science in Management Information Systems all from Instituto Superior de Ciências do Trabalho e da Empresa – Instituto Universitário de Lisboa (ISCTE), and a Bachelor of Science in Civil Engineering and a Post-graduation in Project Management from Instituto Superior Técnico – Universidade de Lisboa (IST). José has a long experience in the private sector, as director or member of the board, and has developed, as a free-lancer or associated with consultancy companies, several consultancy projects to Portuguese and multinational companies, as well as public institutions. He has published extensively in several journals and books, having 25 ISBN published books. He is the author of many scholarly and widespread articles and case studies on the challenges and opportunities facing organisations today. Cláudia Custódio is an Assistant Professor of Finance at Nova School of Business and Economics and a visiting Assistant Professor at the London School of Economics. She was previously Assistant Professor at Arizona State University, and before she joined academia she worked in financial auditing as junior audit. She received her Ph.D. from the London School of Economics In 2010. Her research aims at understanding how firms take decisions and how these decisions can create economic value, with a particular focus on the role of human capital. Her papers are published in academic journals such as the Journal of Finance, the Review of Financial Studies, and the Journal of Financial Economics¸ and also receive attention from the general media. 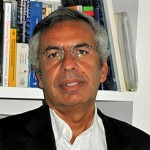 Francesco Franco is Assistant Professor at Nova School of Business and Economics since 2004. Ph.D. in Economics, 2004, by the Massachussets Institute of Technology; M.Sc. in Economics, 1998, at Bocconi University; and Laurea in Economia Política, 1996, by Bocconi University. His research interests include fluctuations and applied macroeconomics, topics on which he has published in Portuguese and international journals. He is referee of various journals, among which the American Economic Review, Review of Economics and Statistics, Applied Economics and the Journal of the European Economic Association. He is currently working on research projects on identification in macroeconomics and on finance and macroeconomic fluctuations. Sofia F. Franco is an Assistant Professor (Adjunct) at Nova School of Business and Economics (Nova SBE), Lisbon and a research member of UECE. She received her Ph.D. from University of California-Santa Barbara in 2007, and was a faculty member at the University of California-Riverside and a visiting Assistant Professor at Pomona College, U.S., before coming to Nova SBE in 2010. Sofia has also been a consultant for the World Bank and for the National Center for Smart Growth Research and Education, Maryland, U.S, on topics related to urban development and zoning policies. Most of Sofia’s research lies at the boundaries of environmental, urban and real estate economics, and uses state-of-the-art econometric and computable general equilibrium methods, as well as geographical information (GIS) tools. Sofia has published scholarly articles in peer-reviewed academic journals such as the American Journal of Agricultural Economics, Journal of Environmental Economics and Management, Regional Science and Urban Economics, Journal of Urban Economics and Transportation Research-Part A.
Miguel Lebre de Freitas is Assistant professor at Universidade de Aveiro, and assistant professor (adjunct) at Nova School of Business and Economics. His research interests include macroeconomics, international finance and economic growth, having published in journals such as the Journal of International Money and Finance, the Canadian Journal of Economics, and the Journal of Common Market Studies. His professional experience includes an appointment as Director of the Cabinet of Strategy and Studies at the Ministry of Economy from the Government of Portugal, a one-year position at the Department of Economic Studies of the Bank of Portugal, as well as the participation in many short-term projects in the areas of economics and finance, promoted by domestic and international institutions, such as the European Commission, the World Bank, the United Nations, and the CEPS. Miguel holds a Licenciatura and an MSc in Economics from Nova School of Business and Economics, and a PhD in Economics from the University of London. Victoire Girard is a researcher at Nova School of Business and Economics. She holds a PhD in economics from Paris 1 Pantéhon-Sorbonne University. Her research is in Developement Economics and Political Economy, with a focus on inequalities, identities, violences, and the local impact of natural resources extraction. She exploits large household surveys and other geocoded data that are from Burkina Faso, India, Kazakhstan, or Pan-African. Victoire has taught in the Universities of Orléans and Paris 1 Panthéon-Sorbonne. She has been an invited researcher at the economics departments of Brown University and of the University of Geneva and she has consulted for the United Nations University (UNU-WIDER). Emanuel Gomes is an Associate Professor at Universidade Nova, Nova School of Business and Economics (Portugal). Previously, he was the Deputy Head of the Strategy and International Business department at the University of Birmingham, Birmingham Business School (UK). He is the Regional Editor (Africa) for the Journal of Knowledge Management and serves as a guest editor in various special issues. He is the author of three books and of several papers published in international refereed journals including the Journal of World Business, Journal of Organizational Behavior, International Business Review, Regional Studies, Management International Review, International Journal of Human Resource Management, Thunderbird International Business Review, International Marketing Review, Human Resource Management Review, and R&D Management. His research interest is in the areas of international mergers and acquisitions, strategic alliances, strategic agility, product service innovation, microfoundations of strategy, and firm internationalisation, particularly in the African context. He has been involved in various research projects involving government bodies like the UK Royal Institute of International Affairs (Chatham House), UK Trade and Industry department, The British Embassy in Angola, the Angola President Foundation (Fundação Eduardo dos Santos), and multinationals like MG Motor (former Rover), UNIPART, and others. Carmen Lages is an Associate Professor of Marketing at Nova SBE. She took her PhD in Marketing from Warwick Business School, UK. Her main research contributions to research are in the fields of relationship marketing (i.e. relationship marketing metrics and business to business relationships in an international context), the impact of firm’s dynamic capabilities (such as innovation and learning) on export performance and the operationalization of brand identity and of strategic public relations as a marketing communications tool. Overall, the relevance of exporting and social responsibility motivated her to pursue research in both. Her research has been published in several scientific journals, including the Journal of Business Research, Journal of International Marketing, Industrial Marketing Management, European Journal of Marketing and Journal of Euromarketing. 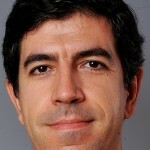 Luís Filipe Lages is Associate Professor at Nova School of Business and Economics, Portugal. He also lectures at the Lisbon MBA (in collaboration with MIT Sloan School) and is Coordinator of the Innovation Module at the MIT-Portugal program in Bioengineering Systems (in collaboration with MIT Engineering School). He holds a PhD in Marketing and International Business from Warwick University (UK) and has conducted post-doctoral work at the MIT Sloan School of Management (2000) and Stanford Graduate School of Business (2001). He has been a Visiting Professor in several leading business schools across the globe where he taught in Executive, MBA and Masters Programs in the fields of Marketing, International Business, Innovation, and Entrepreneurship. Luís has managerial and consultancy experience in business, governmental and not-for-profit forums and is .Associate-Member of APBA. Interested in the process of bridging different personalities, professional backgrounds, cultures, and in the translation of ideas and breakthrough innovations into market success, has published in journals such as Journal of International Business Studies, Journal of Retailing, Journal of Business Research, International Business Review, European Journal of Marketing, Industrial Marketing Management, Journal of International Marketing and International Marketing Review, integrating the Editorial Board of these last two. José Mata is Professor of Strategy at the Universidade Nova de Lisboa. His interests center on the dynamics of markets and firms’ strategies. He received an undergraduate degree in Economics from the Technical University of Lisbon in 1984 and a doctorate in Business Economics from Minho University in 1991. Before joining Nova in 2000, he worked at the Minho University, Bank of Portugal and Technical University of Lisbon. He served as President of the National Statistical Institute of Portugal from 2003 to 2005. His research spans over the areas of entrepreneurship, strategy and international business and industrial and labour economics. His research has been published in international peer-reviewed journals such as the American Economic Review, Journal of International Business Studies, Research Policy, Strategic Management Journal, and the Journal of Applied Econometrics. Teresa Molina Millán is an Assistant Researcher at Nova School of Business and Economics. She obtained her PhD in Economics from the Paris School of Economics and her main areas of research are applied microeconomics and development economics. Her current work focuses on rural poverty, migration, insurance, and conditional cash transfers. She is also interested on violations of random sample selection, either because of attrition or because of self-selection into programs. 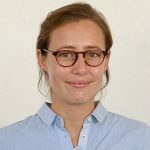 She is currently affiliated as junior researcher with IZA (Bonn, Germany) and teaches Microeconometrics in the graduate program at Nova SBE. Pedro Neves is an Assistant Professor at the Nova School of Business and Economics. He received his Ph.D in Organizational Behavior from ISCTE in 2007 and later went to the University of Delaware for a Post-Doc. He has published in several international journals, including the Journal of Applied Psychology, Group & Organization Management and Human Performance and is the author/co-author of four books (three of them forthcoming). He is a member of the Board of Directors of the International Association of Applied Psychology (IAAP) and won the Research Award (2009) from RH Magazine/Select-Vedior and the Outstanding Reviewer Award (2010) from the OB Division of the Academy of Management. His research interests focus on interpersonal relationships in the workplace, leadership, improvisation/risk taking (he is the Principal Researcher of a project funded by FCT in this area), change management and entrepreneurship. Susana Peralta holds a PhD in Economics from the Université Catholique de Louvain, in Belgium. Her research focus on the economics of multi-layered governments, including tax competition and political economy issues. She is an Associate Professor at the Nova School of Business and Economics, which she joined in 2004. She is a Research Associate of CEPR and CORE-UCL. Her work is published in academic journals such as The Economic Journal, the Journal of Public Economics and the Journal of Urban Economics. Luis Brites Pereira is a Visiting Professor at The Lisbon MBA and Deputy Director of the Centre for Globalisation & Governance (CG&G) at the Nova School of Business and Economics (Nova SBE). He was educated in Portugal (Ph.D in International Economics, Nova SBE) and South Africa (M. Com. and B. Econ. Sc. (Hons. ), University of the Witwatersrand). Prior his current duties, he was a lecturer at Nova SBE and at the Wits Business School (Johannesburg) as well as a Post-Doc Research Fellow at the Tropical Research Institute (IICT). His recent research focuses on globalisation and governance interactions, particularly in African economies, and has been published in peer-reviewed academic journals such as the Open Economies Review and Governance. His consulting experience, meanwhile, includes such institutions as Cape Verde’s Central Bank and the Macao Monetary Authority, China. In the past, he was also an economic advisor to the Portuguese government on the international dimension of its technological and innovation policy. More recently, he served in public office as the Secretary of State for Foreign Affairs and Cooperation, Portugal. Ana Balcão Reis is Associate Professor at the Nova School of Business and Economics. She holds a PhD in Economics from the Department of Economics, Universidade Nova de Lisboa, (currently Nova SBE). Her main research interests are on economic growth driven by technology development and adoption and the link between economic growth and the quality of the environment. The role of human capital accumulation on economic growth has led her more recently to the field of economics of education. She has taught courses on Macroeconomics, Economic Growth and Development for the Undergraduate and Ph.D. programs. More recently she is also teaching Economics of Education for the Masters’ program. Her work is published in academic journals such as the Journal of International Economics, the Journal of Economic Dynamics and Control, the Journal of Environmental Economics and Management and the European Economic Review. Giuliano Russo is unit director and assistant professor of health policy and economics at Nova’s Instituto de Higiene e Medicina Tropical. He has over 15 years of professional experience in academia, public and private sector in Europe, Africa and Latin America, having worked in the past for the Overseas Development Insitute (UK), the Government of Mozambique, the Instituto Nacional de Salud Publica (Mexico), as well as for SmithKline Beecham Pharmaceuticals (Spain and the UK). His recent research has focused on pharmaceutical markets and health systems in low-income settings, on the economics of human resources for health, and on health aid architecture, with a geographical focus on Portuguese-speaking countries. Giuliano holds an MSc in health economics from the University of York, and a Doctorate in Public Health from the London School of Hygiene and Tropical Medicine. Maria do Carmo Seabra was born in Lisbon. She graduated from the Portuguese Catholic University, and obtained her Doctorate and Aggregation from the School of Economics, Universidade Nova de Lisboa, (current Nova SBE), an institution that she is affiliated to since 1980. Her area of main interest is microeconomics, particularly the economics of regulation, and more recently the economics of education. She has lectured courses on these topics at all levels of education, at the School of Economics, Universidade Nova de Lisboa, and occasionally in other institutions such as the Law School, Universidade de Coimbra, at the Universidade Católica Portuguesa, and at the Angola Business School. She has published articles in national and international journals and has participated in several international conferences. Over the years has been actively involved in college life, holding various positions. Maria do Carmo Seabra provided consulting services to various institutions. Between 2002 and 2004 she joined the board of directors of ICP-ANACOM and the Independent Regulators Group. In 2004 she left the ICP to become Minister of Education of the XVII Constitutional Government of Portugal, after which she returned to the School of Economics. 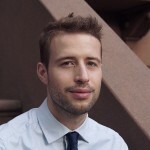 André Silva is Assistant Professor at Nova School of Business and Economics. His research is on Development, Finance, and Macroeconomics. He has papers on topics such as capital flows, innovation, and the demand for money. He teaches courses on Macroeconomics and Finance for the Undergraduate, Masters and Ph.D. programs. Before working at Nova SBE, André Silva taught at the University of Chicago, in the United States, and at the Pontifical Catholic University of Rio de Janeiro, in Brazil; and worked as a consultant at Accenture. André Silva has presented his research in international conferences and seminars. His recent research includes the effect of portfolio rebalancing on the calculations of the welfare cost of inflation, the determinants of capital flows, and the effects of the capital structure on incentives to innovation. Daniel Traça is currently professor of sustainable international business and the dean of Nova SBE, and invited professor at INSEAD. He graduated in Economics at Nova and holds a PhD in economics from Columbia University, New York. He was a professor at INSEAD, Paris and Singapore, and in the Solvay Brussels School in Brussels, where he was director of MBA programs. Daniel Traça also has several papers published in international journals in the field of international economics and economic development, as well as having collaborated with the European Commission and the World Bank. Pedro Vicente is an associate professor of economics and director of the PhD program in economics and finance at Nova School of Business and Economics, and an invited lecturer at the University of Oxford. Pedro researches on development economics, with an emphasis on political economy issues, and a special interest in Africa. He designed and conducted field work (including randomized field experiments) in Mozambique, Nigeria, Cape Verde and Sao Tome and Principe. He has published articles in top field journals such as the Journal of Development Economics. Pedro holds a Ph.D. in Economics from the University of Chicago, and is affiliated with BREAD (Duke University, USA) and with the CSAE (University of Oxford, UK). He is Lead Academic for Mozambique at the IGC (International Growth Center based at the LSE and Oxford), and a consultant for the World Bank.